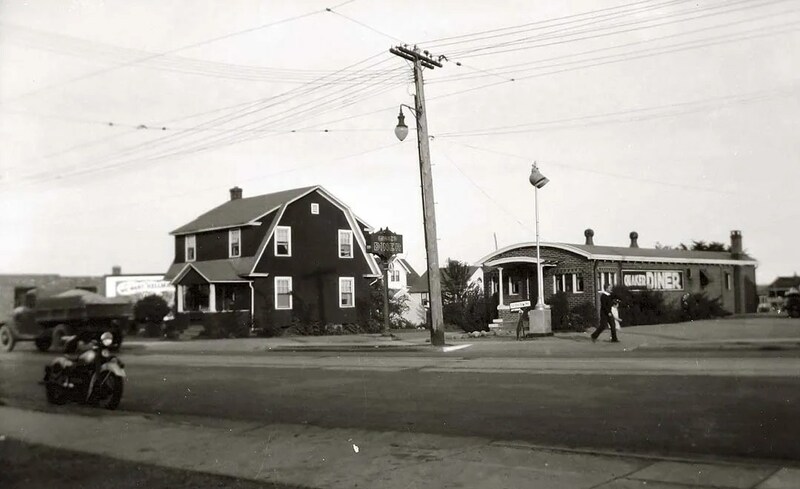 Chester Avenue and E 36th Street, Cleveland, Ohio. 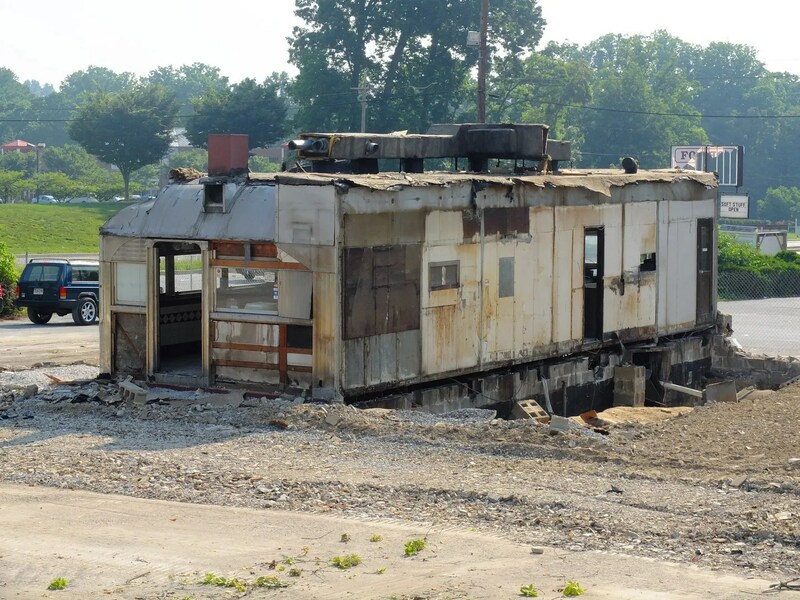 “Northern Ohio Traction and Light Co ex 1500 Series car used as restaurant”. 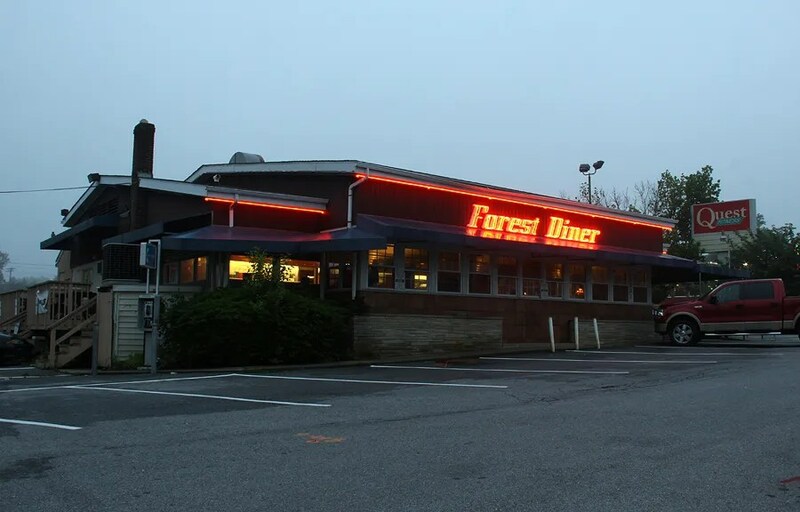 The Forest Diner closed on May 28th, 2012. 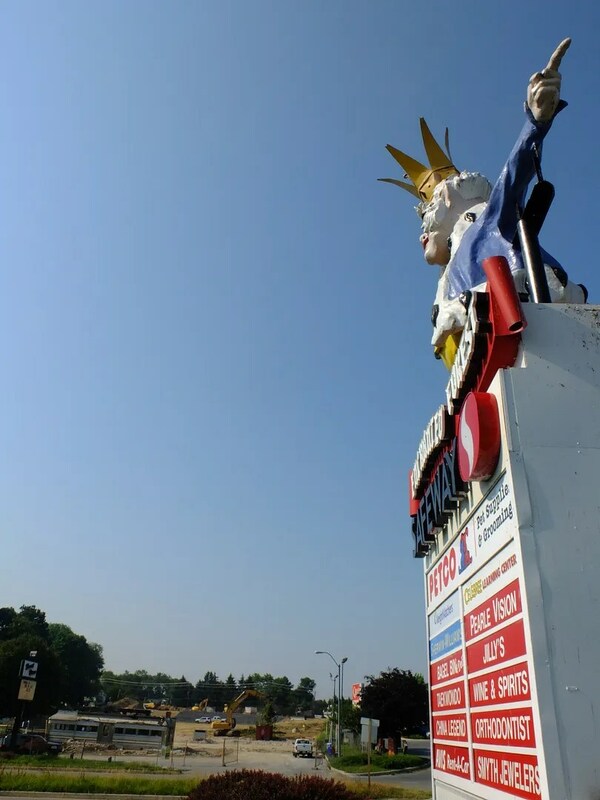 Here’s a full post on its closing, with pics of its final days. 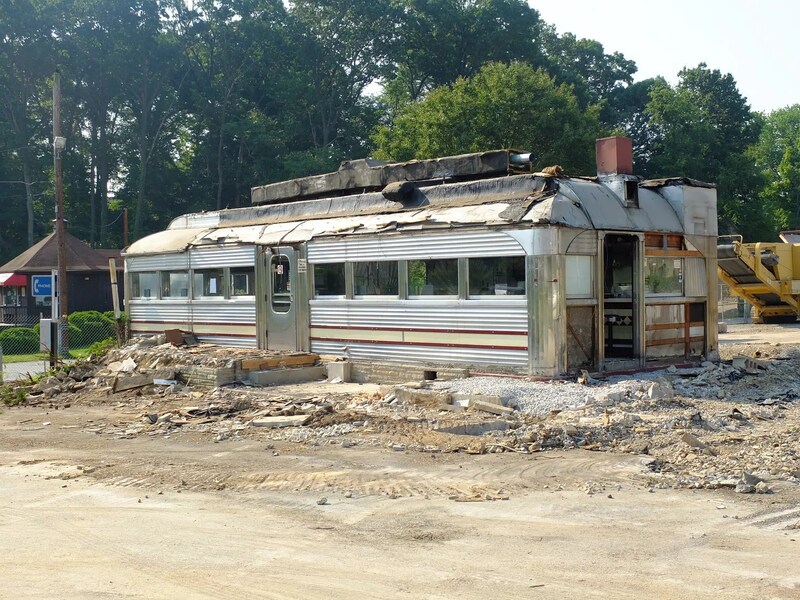 To refresh your memory- here’s the way the diner looked a little less than a month ago. 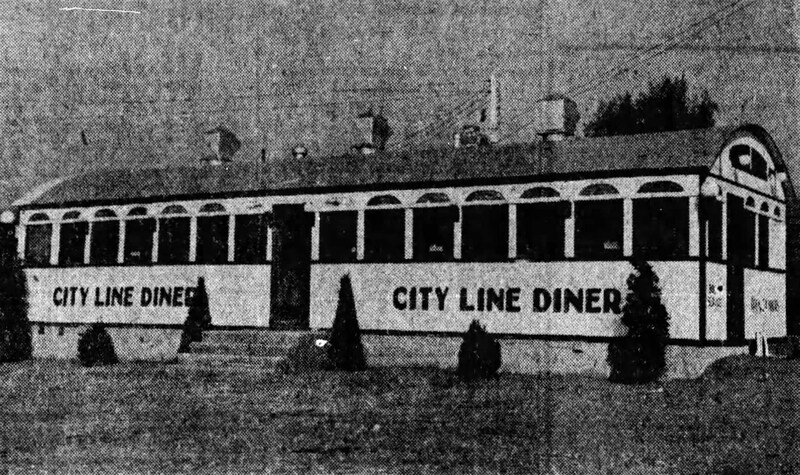 The old Silk City diner was entirely encased in a larger restaurant, with about four feet between the diner’s facade and that of the surrounding building. 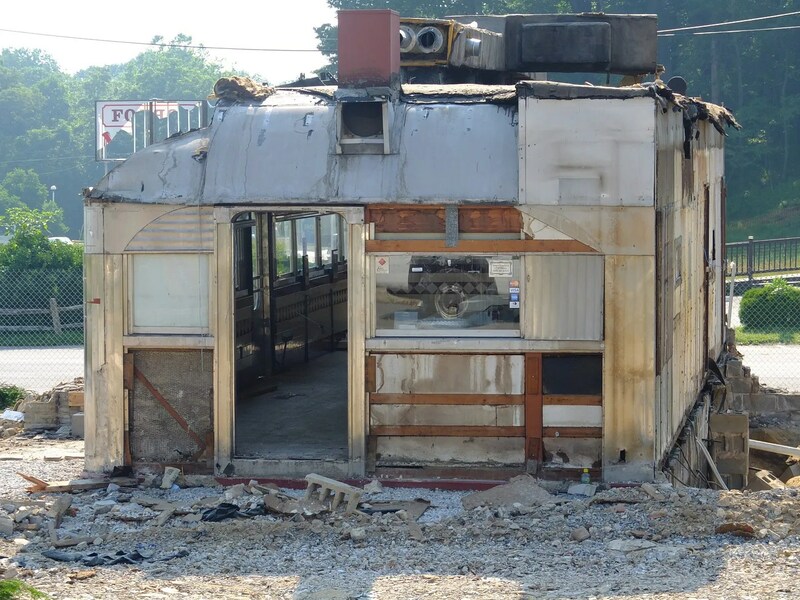 In these past couple weeks, the surrounding building has been razed, leaving nothing but the diner itself. 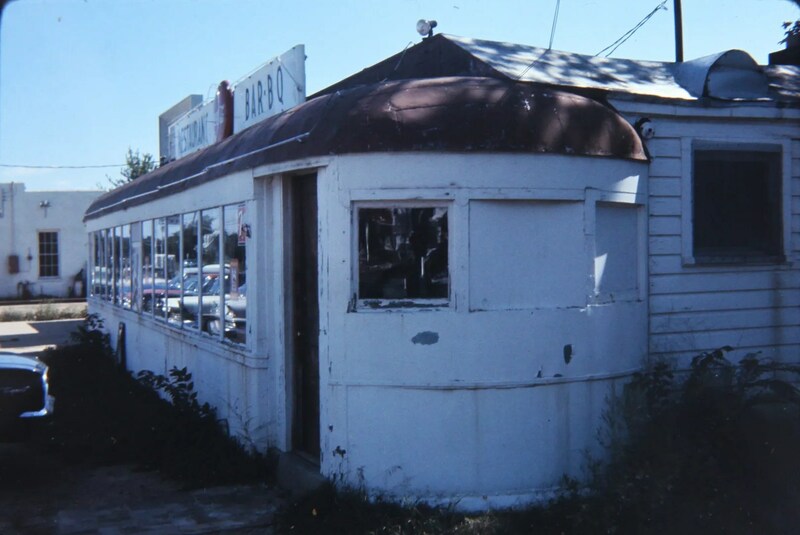 Word on the street was conflicting- one person at the site saying that it had already been sold and was going to be moved to Virginia, the other that it had not been sold, but was moving to temporary storage off-site until plans can be made for it. Once I hear back from people who know for sure, I’ll post it on the blog. 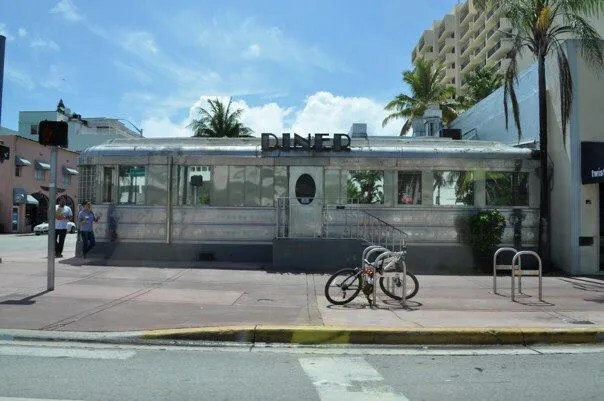 Either way, the diner is being saved, but removed from Rt. 40. 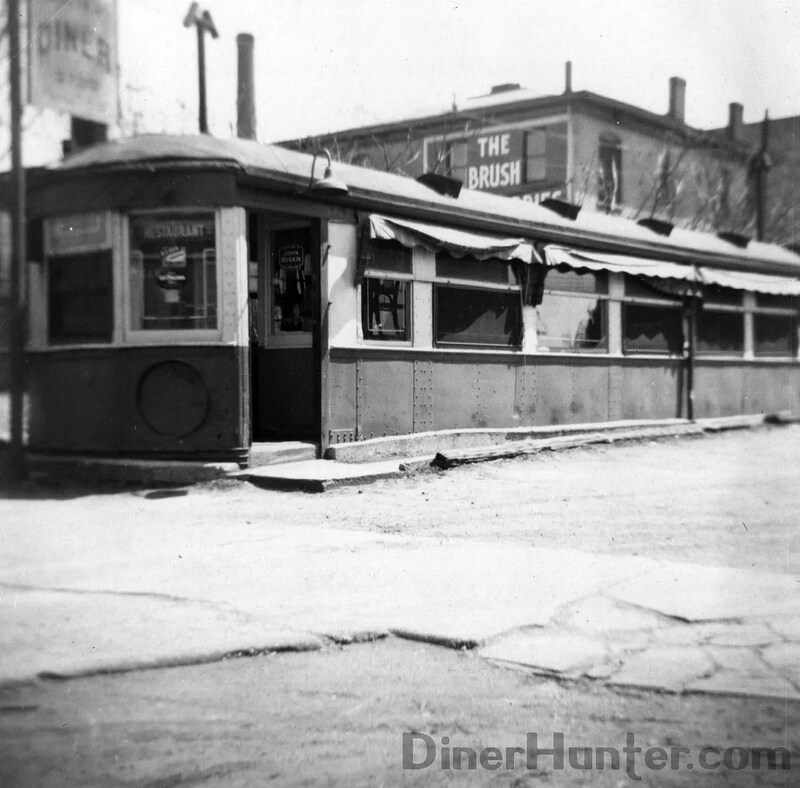 Another recent addition to the collection- a medium format negative from the 1930s of Hartford CT’s Quaker Diner. 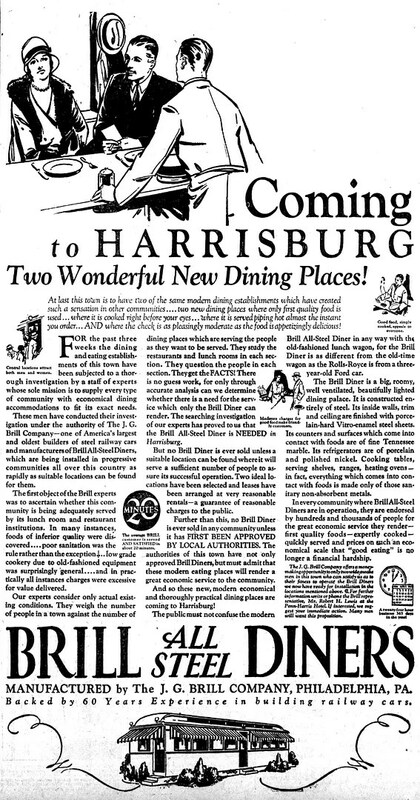 It’s still there, and still looks just about the same. Some recent additions to my collection. 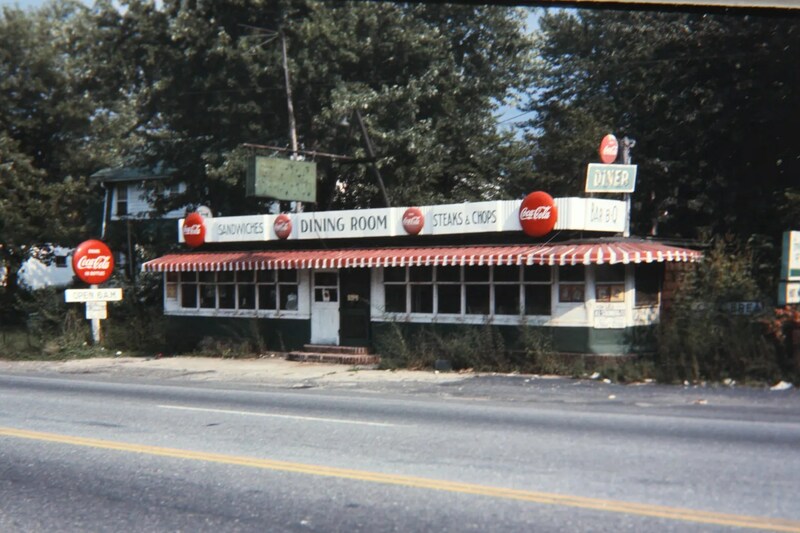 These photos were taken in 1965. 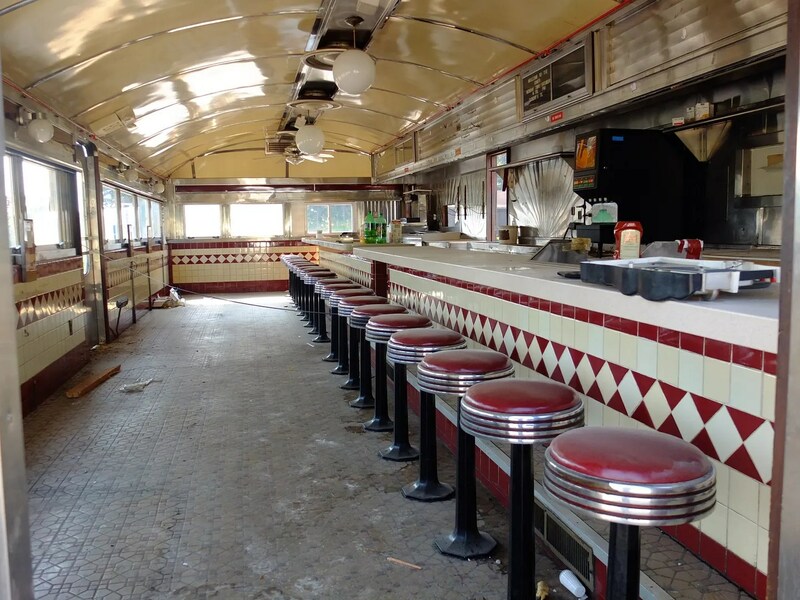 There used to be quite a few trolley conversions in the mid atlantic (and elsewhere), but they just didn’t hold up as well as factory built diners. 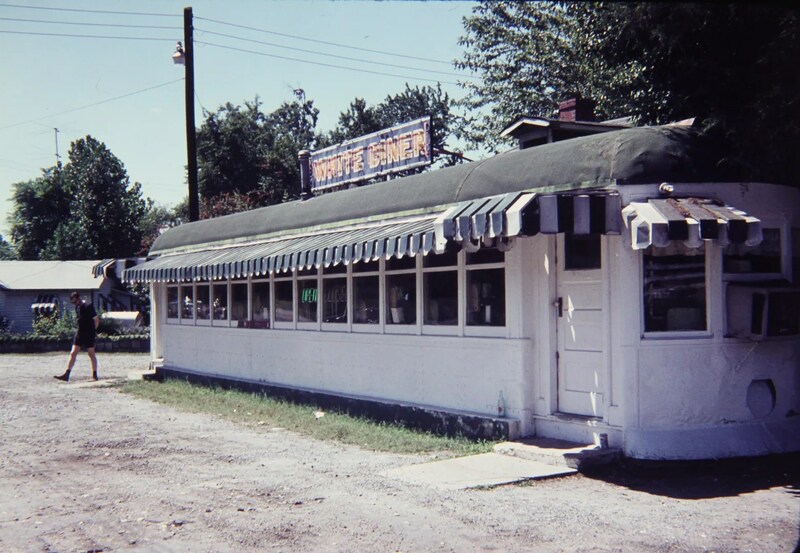 By the time they came into service as diners, most had served a full lifetime of service on the roads, so the condition was obviously not as good as a factory built diner. 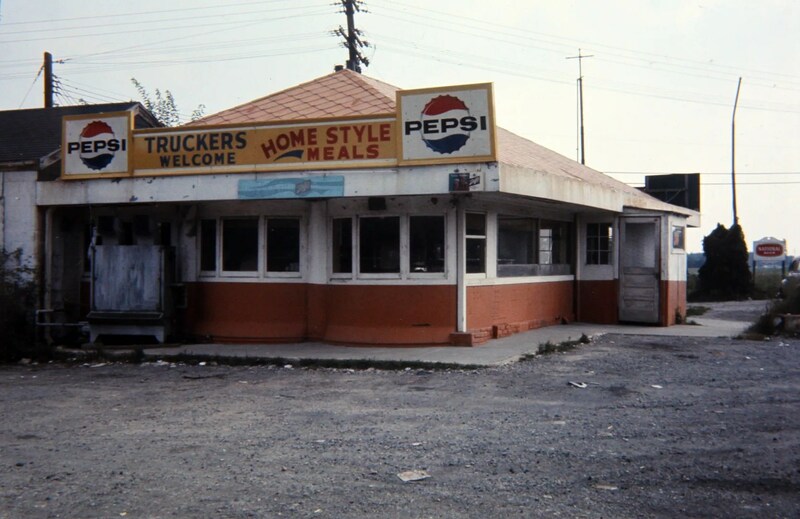 It took work, money and some jerry-rigging to change them over from transportation to food service. 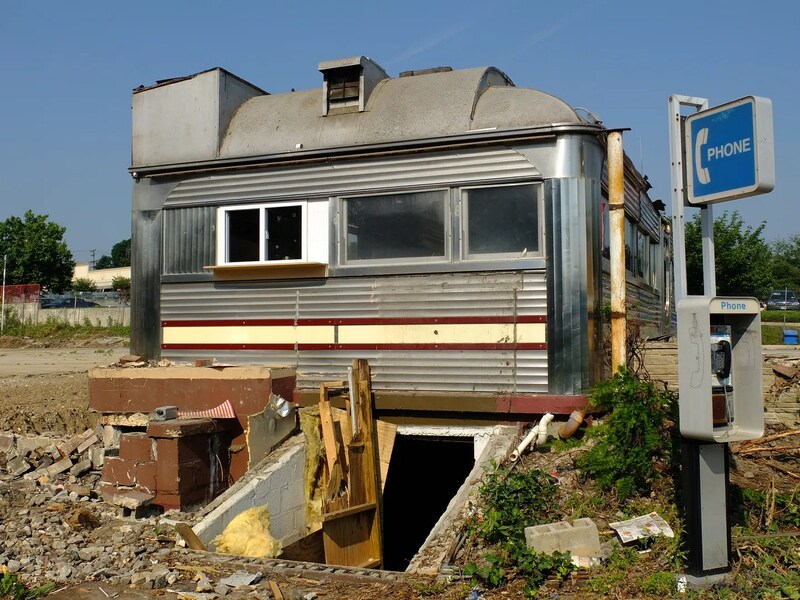 But they could be picked up and converted on the cheap, so they were a good way to get into the business. 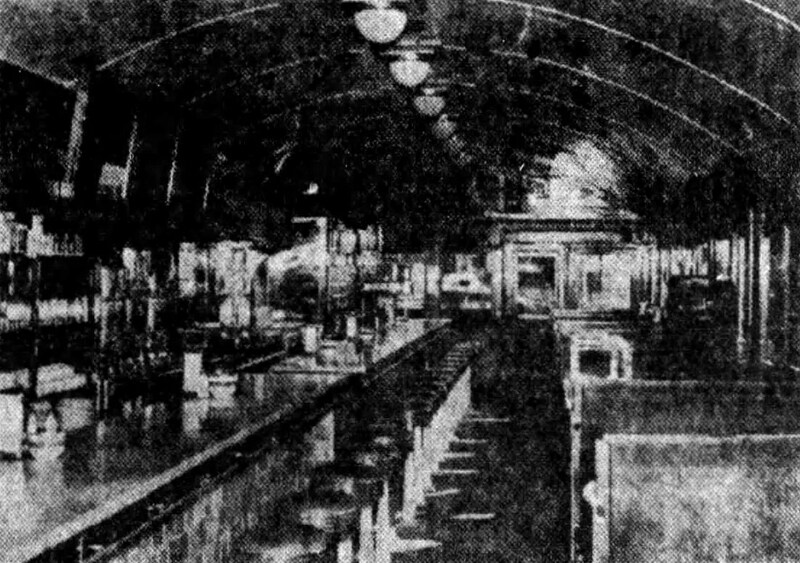 It seems most owners traded up to a proper factory built diner, or to a on-site construction once they had earned enough money to do so, so the trolleys didn’t survive very well. This shot comes from my friend Luke Ryalls, who is down south on a trip with Dalhousie University architecture. 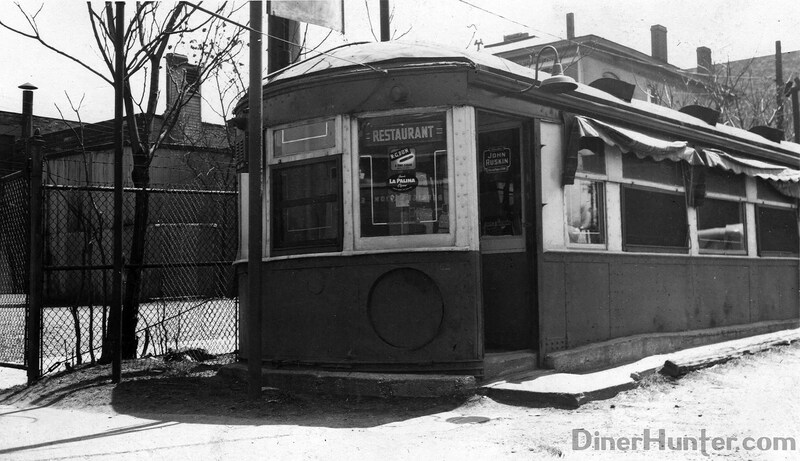 The 11th St. Diner is a 1948 Paramount, moved from Wilkes Barre, PA in 1992.